This is the adorable Bonnie. 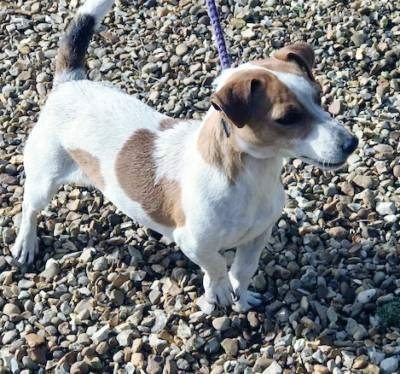 Bonnie is a 3/4 year old female Jack Russell Terrier. 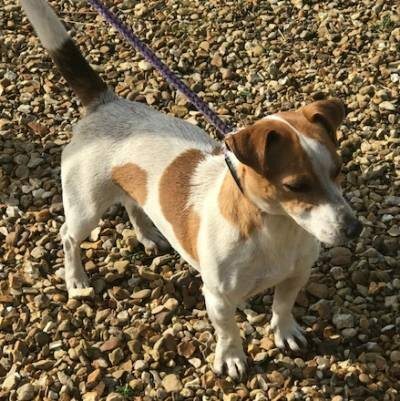 Bonnie is a happy, friendly, loving little girl. She is good with other dogs, and children, but she cannot live with cats. Bonnie is good in the car, and enjoys her walks. She is spayed, chipped and has had her first vaccination. Can you offer this gorgeous girl her forever home ?